A Rear And Side Extension to a 1950’s Bungalow. A new kitchen, family room, two extra bedrooms and utility space. 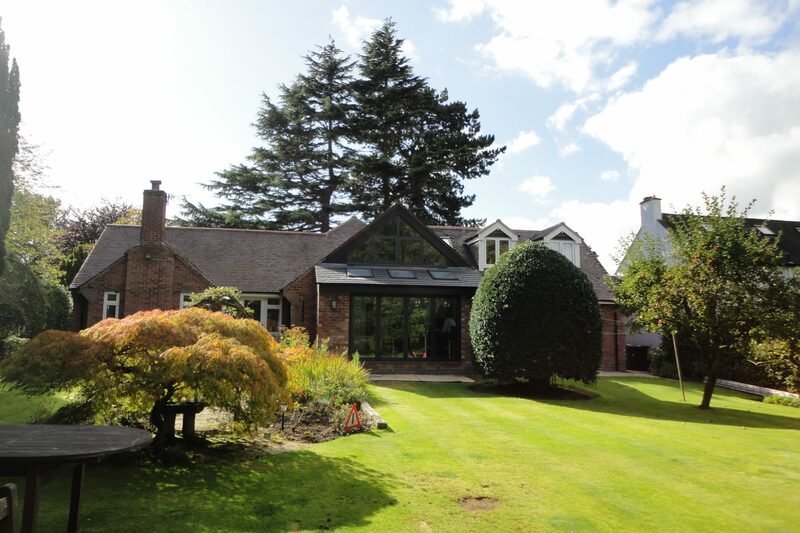 This fabulous family home, is now perfectly suited to meet the needs of its occupants. 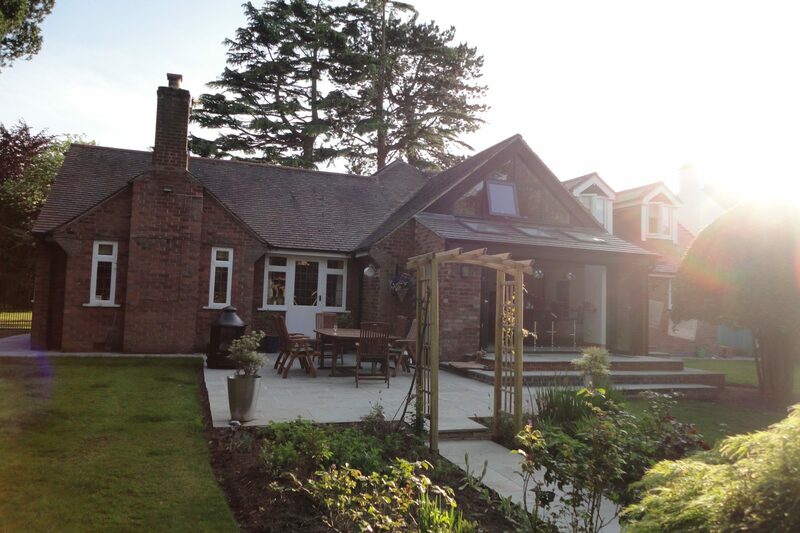 Our brief was to transform this tired, dated and much loved bungalow, with exceptionally well proportioned rooms into a modern airy family home. 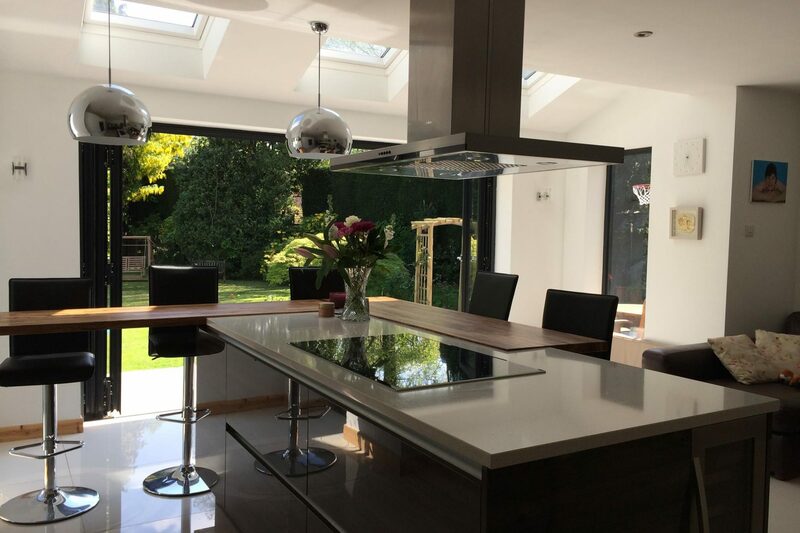 The principle change outlined by our clients was that the kitchen and house connected sympathetically to the the stunning rear gardens. The house had recently been passed onto the next generation of the family. It had not been updated since 1970, so we were asked to bring the property into the 21st Century and to make the best use of the space available. 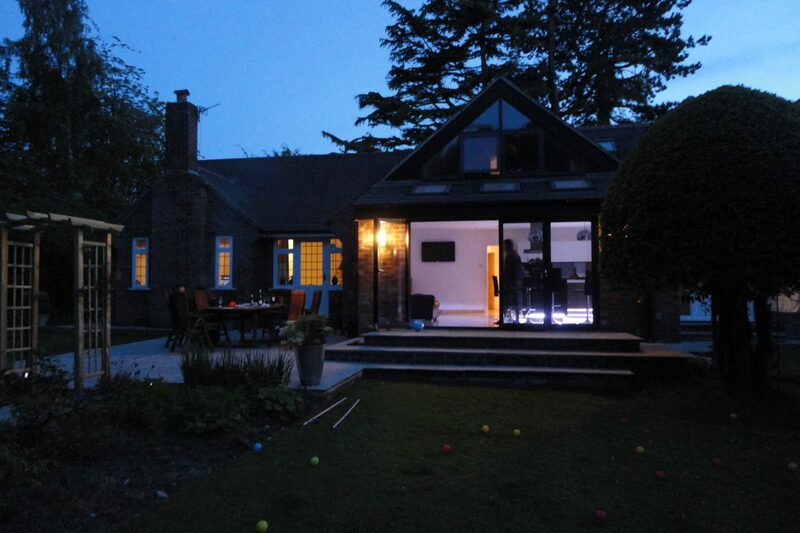 The design solution saw us add a two storey extension to the side, housing a master suite on the upper floor. 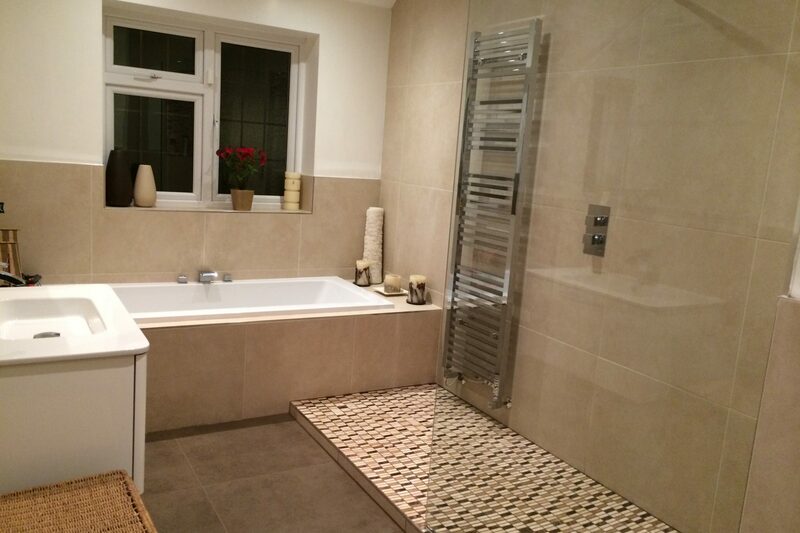 On the ground floor we included a family bathroom, guest en-suite, garage and utility room. 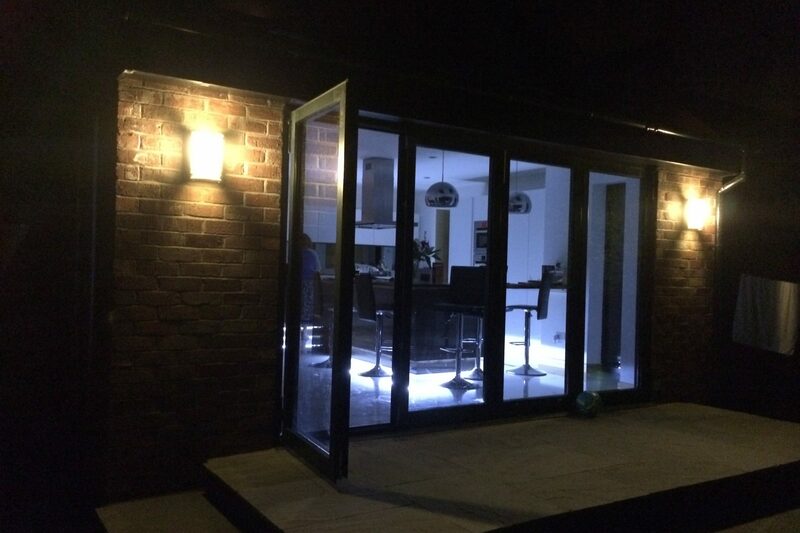 The existing kitchen was re-orientated to make the most of the outside space. The bi-fold doors in the kitchen extension are framed by a sculptural holly bush, which is of particular sentimental value to the family. Above the Kitchen extension we were able to include a further bedroom which features a bespoke triangular window perfectly framing the garden.